#2407-08 in service late 1976, put in work train service at Harlem Yard (Green line) 4/1/14, no longer in revenue service until 6/13/14 when they went back in work train service at Howard yard where they saw limited use on the Purple line in service for about 2 weeks after 6/13/14; since they have strictly been for work car use. #2409-10 in service late 1976, put in work train service at Harlem Yard (Green line) 4/1/14, no longer in revenue service until 6/13/14 when they went back in work train service at Howard yard where they saw limited use on the Purple line in service for about 2 weeks after 6/13/14; since they have strictly been for work car use. a. prototypes #2401-#2404 ran in service on most lines for a 600 hour test (at least 2 months) before delivery began on the production cars. b. On 8/3/79 a fire broke out at 61st shop, 6 cars inside the shop were destroyed. (#2517-18, #6367-68 and #6335-36) 3 cars outside the shop and next to it were also destroyed (#2481, #2447-48) Two more cars, #2479-80, were inside when the fire broke out and were saved by two signal personnel that had just completed the ATC. The shop was never rebuilt. c. #2482 after the 8/79 fire became a training car at the federal training center and in the past has sporadically been paired with #2503. Currently the car has been paired with #2531 which occurred around the summer of 2002.
d. #2470 burned up 2/24/05 on the green line's 37th middle track, #2469 was paired with #2504 in the summer of 2006. On 1/21/15, the final farewell trip of #2400's ran around the loop for a media trip, and on the Brown and Red line to Ashland/63rd's pre 1993 routing, Sb over the elevated and NB into the state street subway. The 8 cars that ran the farewell trip were: #2455-56, #2489-90, #2537-38, #2543-44. Thanks to your post I now know what happened to the 61st St shop. Actually, it wasn't the main 61st Street Shops that burned down in 1979. It was the "White House" inspection building that was used as a "bad order repair" facility at the time. That building was constructed mostly of wood and was adjacent to the main shop building. The main 61st Street shops, which was constructed of brick and steel, wasn't torn down until February of last year (2010). At the end of its life, it housed a woodworking shop as well as handling maintenence work for non-revenue equipment such as snowplows and cranes. Hopefully IRM will aquire a pair of cars. I remember I used to see an M.A.N. Americana bus (don't know if it was as a "Work Bus", but it had all windows boarded up (red color board), last time I seen it was around 2004 on 62nd under Green Line Tracks. So 2493-2500 were actually built in 1979? 2493-2500 were actually built in late 1977, and were originally slated to receive a solid state chopper control that unit 2491-2492 was originally delivered to the CTA with. When tests discovered undesirable electromagnetic interference between the controls of 2491-2492 and the track signal circuits, 2491-2492 was returned to Boeing-Vertol for conversion back to the conventional cam package that the other 2400s were equipped with. 2493-2500 were still sitting at Boeing-Vertol all that time while 2491-2492 was tested, and the decision was made to convert 2493-2500 back to the conventional cam control while still at the Boeing-Vertol factory. Hence, 2493-2500 were sitting at Boeing-Vertol for nearly two years - and nearly one year after unit 2599-2600 had already been delivered to the CTA! This also explains why 2493-2500 received interior car numbers in Helvetica instead of the Univers used in cars numbered in the vicinity of 2493-2500. Now that the #5000's are in service, soon we will be retiring #2400's. Here's a list of there in service dates, retirement dates and related info. I had to generalize a few dates, but as I continue to research I'll update what I find. I'll also be updating the retirements here as well. So I guess it's the end of the line for the 2400-series rail cars on the CTA? Beginning in a few months (likely March or April), when the Green Line begins receiving the new 5000s. The 2400s might not be completely retired from passenger service until the Purple Line begins receiving its 5000s in 2014. Once the Pink Line gets all 5000s (with its 2600s going to Red [why not straight to Blue, I don't know] and a like amount going to Blue to replace 44 2200s) what happens when the Green Line starts getting 5000s? Some 2400s get transferred to Red and more 2600s go to Blue to retire more 2200s. Will they entirely retire the 2200s before retiring 2400s or will we have a simultaneous retirement of 2200s and 2400s a la 4400 TMCs and 5300 Flxbles. 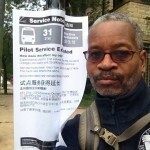 In the case of B, it seems CTA likes paying OT to move a lot of equipment around for retirement. In the case of the first sentence, the reasoning is that the #3101-3200 block of 2600s have never been officially assigned to any line except the Blue and Pink lines (though some of them did run on the Green Line due to operable equipment shortages). As for the Green Line scenario, a ) is now much more likely than B ) because some of the Green Line 2400s have been in and out of operable condition intermittently over the past several years - while many of the 2200s are still going relatively strong. Hence, the retirement of 2200s and 2400s will likely occur simultaneously. And while most of the 2400s will likely end up in the scrappers, expect a handful of 2200s to be sent to transportation museums. Actually, some of the equipment moves have begun: It looks like the Pink Line 2600s are headed straight back to the Blue Line. The Red and Purple lines will not receive any of the Pink Line 2600s - but instead, they will receive the best of the Green Line 2400s (since the Green Line will be the next line after the Pink Line to be re-equipped with 5000s), allowing selected Red and Purple line 2600s to be transferred to the Blue Line to retire the remainder of the 2200s. (I say this because a couple of the Green Line 2400s have already moved to the Purple Line.) Then, when the Red Line receives its 5000s (immediately following the Green Line), the remaining 2400s will be fully retired from passenger service. All you 2200 fans, get your pics and video now, I saw a row of 2200 sitting at Skokie Shops the other day. Im wondering if 2200s are also now beginning the retirement process. Actually the four #2400's that went from Green to Purple have been there since the summer. (I reported it on here if you want to know when I first saw them.) They might have been sent there to compensate for the loss of #2579-80, which retired around June of this year. When it comes time to send the best of the Green line #2400's to purple, no doubt the low #2400's work cars that run the green now will all end up on Purple. (except the six at 54th) Then at the end of #2400 retirement, they will have to decide to retire work cars or keep them going for a little while longer. I see them hanging around for a little while. BTW, anyone wondering what happened to the 8 #2600's that went from purple to blue? I found out those did go back to purple. The CTA Tattler had a post about an IRM benefit to preserve a pair of 2400s. Just letting you guys know, I updated this with 10 more #2400 cars taken off the Purple line and placed on long term hold. Bids have closed on a proposal to scrap 70 of them. Then what CTA intends to do is unannounced, but I said before that don't expect them to last though 2014. On the website at www.chicago-l.org, the CTA has made announcement that some of the 2400-Series cars has removed from service and waiting for scrapped. I updated the list here to reflect the changes, so we're all on the same page here. Thanks, BusHunter!! I just want to let you know about it. It looks like we will see the last of the 2400s, when more 5000s comes in from Skokie. He also updated the #2200's. He has a few cars #2233-34 going to skokie shops 11/1. 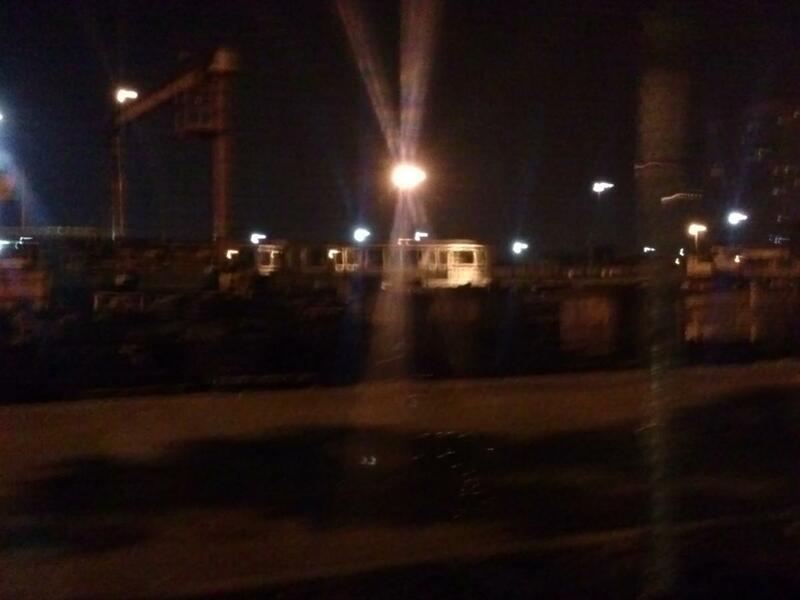 I spotted that in rosemont yard 11/3 myself, but it was by itself,so I need to see did it go or not. It may have had battery issues and couldn't be moved. Other than that the list seems OK. At least i got a few clearer dates. Eyetube21, is #2273-74 still at 61st yard? BTW, Skokie Shops was full of #2200's just the other day, i was telling someone they were getting the gas powered car out to scrap a few cars. (I saw this) Now today those cars are gone, so I guess now we need to find out the scrapping dates for those. I guess that's the next update. Yes, the #2273-74 is still there at 61st Street yard. It's been there since the Red Line South Reconstruction Project. They made those trains at the maintainence office. All the side windows are cover and I also seen maintainence workers there working and I've seen the prototype 2400s were sitting at the 63rd Street yard too. Oh, last weekend I ride the 5000-series on the Yellow Line pass by the Skokie Shops and I did seen some more 5000s there and also few 2200s and 2400s there as well. I also made a Youtube video of riding the 5000s on the Yellow Line too. With the 2400s due to gone by the end of 2014, any plans for a farewell? Since some 2400s are equipped as work motors, perhaps the most fitting sendoff would be have them run the holiday train (the Santa flatcar requires work motor cars). This could be a perhaps a grand send-off, as they would get a three week farewell tour of the entire system (and would be available for the public to ride, unlike a charter excursion).